Image Credit: A health worker is checking a young boy in Mozambique for signs of blinding trachoma, one of seven Neglected Tropical Diseases targeted by the U.S. Agency for International Development (USAID). Image is courtesy of RTI International. One of the lesser known success stories in global health is about the progress we have made over the past decade in controlling and eliminating neglected tropical diseases or NTDs. And yes, the term "neglected" is there for a reason: because these diseases affect the poorest of the poor and have endured largely due to indifference and neglect. Yet for one in seven people around the world--a total of 1 billion--a group of parasitic and bacterial infections causes profound pain, suffering, malnutrition and often lifelong disability. People who are afflicted by NTDs are frequently stigmatized and isolated, unable to go to school or work and trapped in a perpetual cycle of poverty. The World Health Organization has identified 17 such diseases and in 2012 set a Roadmap with a target date of 2020 for accelerating progress toward their control and elimination. This year marks 10 years of the United States Agency for International Development (USAID) addressing NTDs and contributing to the WHO Roadmap. 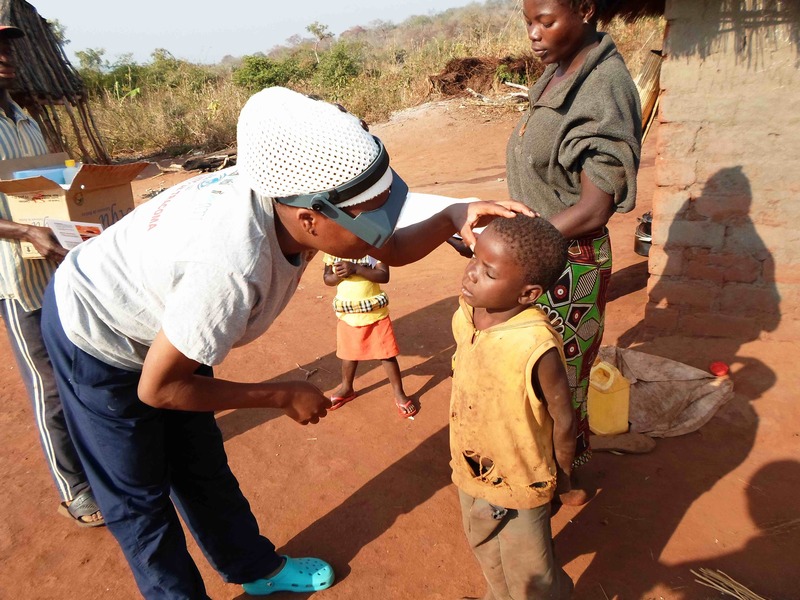 USAID's NTD Program primarily focuses on seven of these diseases: lymphatic filariasis (also known as LF), blinding trachoma, onchocerciasis, schistosomiasis, and three other diseases that are transmitted through parasitic worms that live in the soil. These seven diseases alone cause 80 percent of the global NTD burden. The good news is that all of these diseases can be controlled through community-wide administration of safe and effective medicines. Over the past decade, USAID has supported the delivery of more than 1.6 billion treatments to more than 740 million people across 31 countries to prevent and treat seven of the most prevalent NTDs, in partnership with pharmaceutical companies, ministries of health, and local communities. This is indeed an impressive story of partnership, collaboration and commitment. Since its inception in 2006, USAID's NTD program has focused on expanding community-wide mass treatment, which successfully reduced the occurrence, extent, and severity of the diseases targeted and led to control and elimination in certain parts of the world. For individuals who need surgery because mass treatment cannot reverse the damaging effects of NTDs, the program also focuses on strengthening the national capacity of African countries to scale-up quality services to manage these conditions. New and innovative tools are being employed, such as the ability to develop and deploy surgical mannequins that enable eye surgeons to train and practice their skills. The NTD Program is one of the agency's largest public-private partnerships. Every $1 invested by USAID in NTDs leverages $26 in pharmaceutical donations for mass treatment campaigns, which has reduced treatment costs to 63 cents per person. This is a best buy in public health, no doubt. Think about it, more than $11.1 billion in donated drugs were leveraged through the private sector alone. Thanks to our partnership with other donors like the UK Department for International Development (DFID) and pharmaceutical companies such as GlaxoSmithKline and Pfizer Inc., families and communities now have the potential to thrive in a future free from diseases associated to extreme poverty. The numbers are impressive: 140 million people now live in areas where they no longer require treatment for LF, a disfiguring infection transmitted by mosquitoes; and the same goes for 65 million people who live in areas where trachoma is the leading cause of preventable blindness. Most importantly, USAID's Program seeks to work across sectors especially when it comes to education, nutrition and water and sanitation because being aware of how these diseases are transmitted and are linked to certain behaviors is critical for controlling, managing and eventually eliminating them. Our basic approach is to empower local institutions, private sector partners, and civil society organizations to play key roles in a variety of interventions. School teachers, village heads, and local volunteers are engaged in community-based preventive action. This is exemplified by Mme Lappe Dorantine an agent of change in the village of Dissat, in Cameroon. For the past 12 years, Dorantine has served as a volunteer, distributing drugs that prevent blindness and disfigurement from NTDs. Despite the difficulty of traveling door-to-door taking a census, documenting information, distributing drugs and submitting treatment reports, Dorantine works with a smile on her face because she knows that she is saving lives and improving the health of her own community. This week in Washington D.C. we have the honor to host dozens of program managers who work on the fight against NTDs every day, alongside thousands of dedicated community health workers like Doratine. They are here attending a global meeting supported by USAID and organized by our implementing partners to discuss how their work on NTDs contributes to global development, share their expertise with each other and get the latest on control and treatment of their specialty NTD. Looking ahead, the next four years will be critical in our push to eliminate NTDs by 2020. While much progress has been made, more work still remains. Integrated efforts that tackle the complex, interrelated challenges across sectors will be increasingly critical. Given the interconnected root causes of NTDs, greater coordination is needed to innovate and build upon our remarkable progress. Furthermore, interventions must continue to build local capacity, be data-driven, and further leverage limited resources. Promoting meaningful partnerships, local solutions and private financing for health will be pivotal in closing this gap by 2020. Together, we can take global health to new frontiers and put an end to all diseases of extreme poverty.